Attending any fashion week has always something that I've wanted to do. The excitement it brings is literally uncanny. Being invited to shows and attending parties just seemed like the most glamorous of things. Attending is one thing though. Reporting on it is another. That is probably my favourite thing to do this time of year. 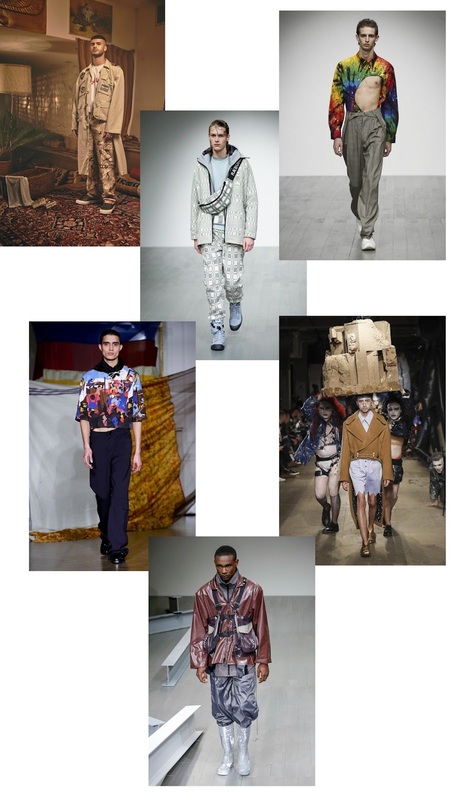 And although I have great time for London Fashion Week Men's, many seem to think it is having an identity crisis. From golfer knits and tie-dye tailoring to characters that will bring you straight down the rabbit hole - I think the excitement is still there. Liam Hodges brought us right back to youthful pleasures this season by giving us a feel for those raves in the 90's. 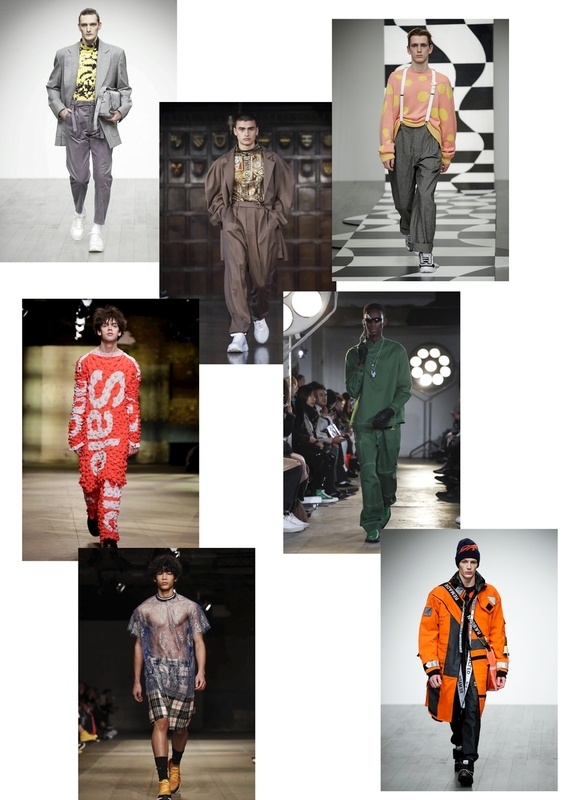 While What We Wear showed us why its now one of the most anticipated shows on the schedule by taking the tracksuit to a whole new level. Phoebe English has always been renowned for her strong looks and she did just that this time around with a strong focus on textiles and surface textures. Ben Sherman teamed up with House of Holland for a show that I am actually crying I missed. Presented in a 100 meter long gallery, this was basically the 1970's with a twist - everything you'd expect from these two. The fun didn't stop there though. Band of Outsiders took us to a whole new level by doing a presentation on ice. Yes, ice! 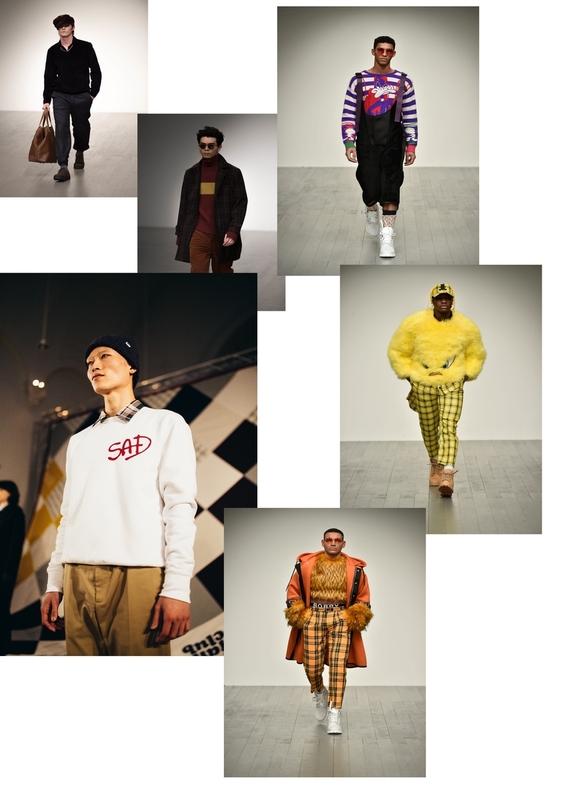 Stepping away from the ice though, Charles Jeffrey gave us oversized jumpers that were literally stuffed with padding, while MAN's Stefan Cooke produced an Argyle knit vest. Astrid Andersen continued this fad by presenting the classic polo with metallic tartan joggers and silk robes. Something different, eh? The caddy is optional of course. Cottweiler took us through The Natural History Museum after dark and gave us quiet a refreshed take on practi-cool. North Face anoraks will have to take note. It is no surprise that corduroy played a huge part on the catwalk this season given its prominent position throughout menswear at the moment so I guess we shouldn't rally be too surprised to see one of our most sought after designers Alex Mullins sporting it throughout his collection. And although I am not a huge fan of corduroy, I can get on board with Oliver Spencer's push for velvet trousers. Christopher Raeburn and A Cold Wall opted for more of a utilitarian theme. Think wool blankets that were used by the Russian and Danish Navy. Now make them into tops all the while keeping it very street style. Then of course we had harnesses with clutch like bags attached to either side and one on the rear. Pretty handy, right? Craig Green got in touch with his inner kid and gave us a collection where is almost seemed like the models were wearing tents and some sort of makeshift flying machine. That is in no way taking away from the collection though. Lou Dalton then took inspiration from the men in her life, looking back at times with her brother. While Wood Wood drew inspiration from the likes of 'St. Elmo's Fire' and 'The Breakfast Club' for the new collection. It was Bobby Abley who then brought the weekend to a close and boy what a close it was. Teaming up with Warner Bros, this was a collection full of fun and high energy - everything you'd expect from the Looney Tunes characters. Of course, when every fashion week comes around on the calendar there are always going to be critics. They are always going to say that it has lost its purpose or it just hasn't found its footing. 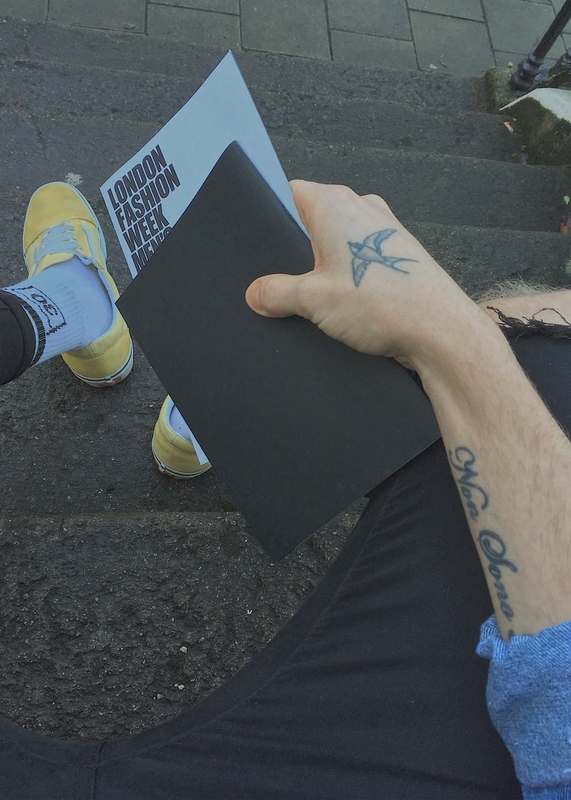 But at the end of the day, London Fashion Week Men's serves a much needed purpose. 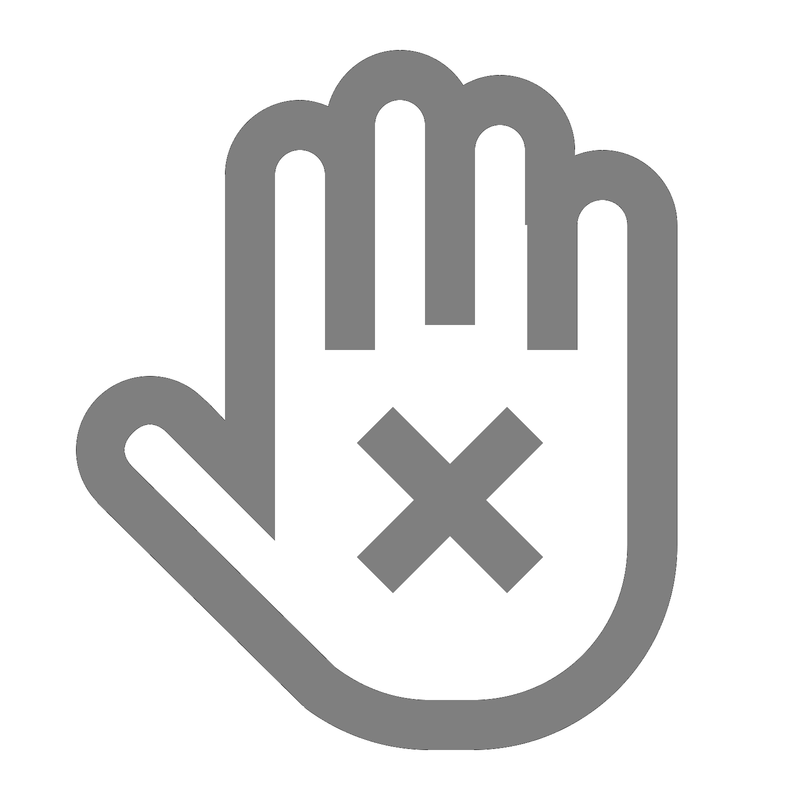 It is supporting up and coming designers. And most of these guys are young and need that platform. This is something we should be backing, not slating. And if this weekend is anything to go by, then we should be very excited to be part of it. I know I certainly am.